If you are looking to get carpet installed cheap in Northville, you've come to the right place. No matter where you look, you won't find better carpet prices than with us. Here at The Carpet Guys, we want everyone to experience the joys of new carpeting. So we will work with your budget as best we can. Whatever your carpeting needs may be, we guarantee that you will be satisfied with our solution. We are here to lend a helping hand. Feeling a classier look that will leave your visitors in awe? Get our luxurious Plush Carpet installed. With a rich velvet like look and feel, it is the perfect fit for any formal setting. For those homeowners looking to sport a casual and trendy looking home, Frieze Carpet is perfect for you. Add a sense of personality and flair to any of your rooms. Looking for a carpet that will fend off a lot of foot traffic? The durability of Berber Carpet may entice you. Defend your floors with this tough carpet style. To provide your rooms with an interesting and different look and feel, Looped Carpet will stand out. Enjoy the wide variety of colors and designs to choose from. No matter what carpeting you choose to get installed from us, we promise that it will perform well and last long. Take a few minutes to schedule a free in-home estimate with us. It can easily be done via the web form on our site or over the phone with a friendly customer service representative. 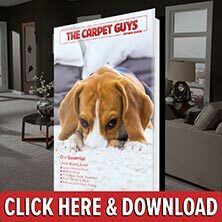 Carpet installation in Northville has never been easier.